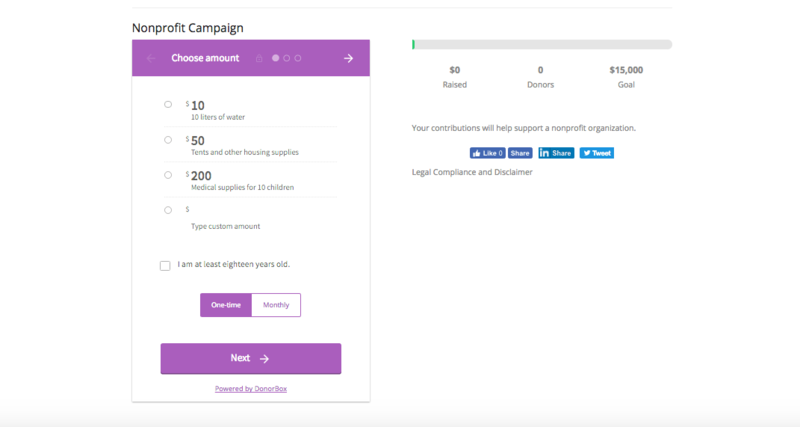 Go to your Donorbox dashboard and click the “Edit form” link next to your campaign. Click the “Design” tab at the far right of your editor toolbar. You can pick your colour by clicking one of the five preset colours (red; green; blue; yellow; orange). 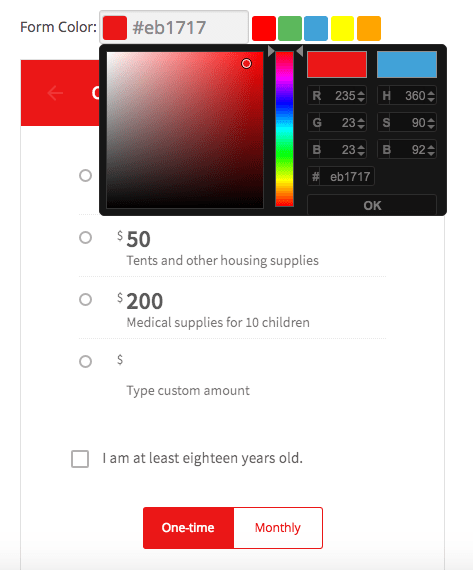 If you need a different color or a more customized shade, click the box containing the color hex code. 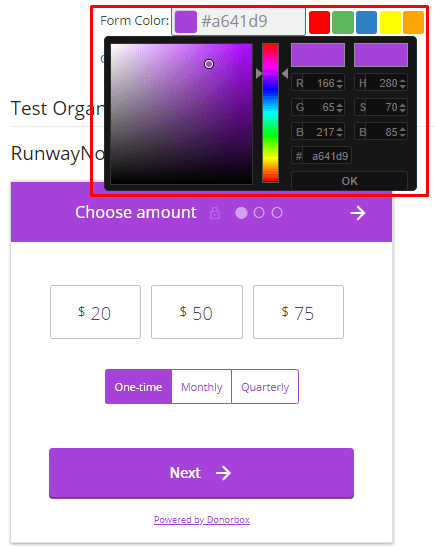 If you or your designer already have the hex color code of the desired shade, simply paste it in the text box. 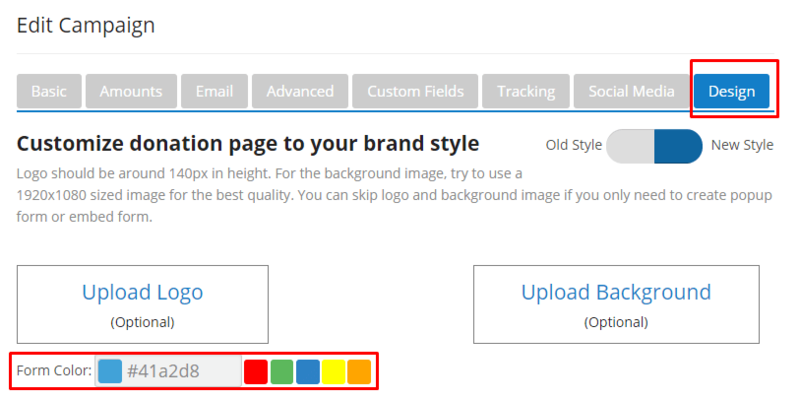 If you don’t know the hex color code, try the Colorzilla chrome extension to find the hex code of your main website’s/logo’s color. 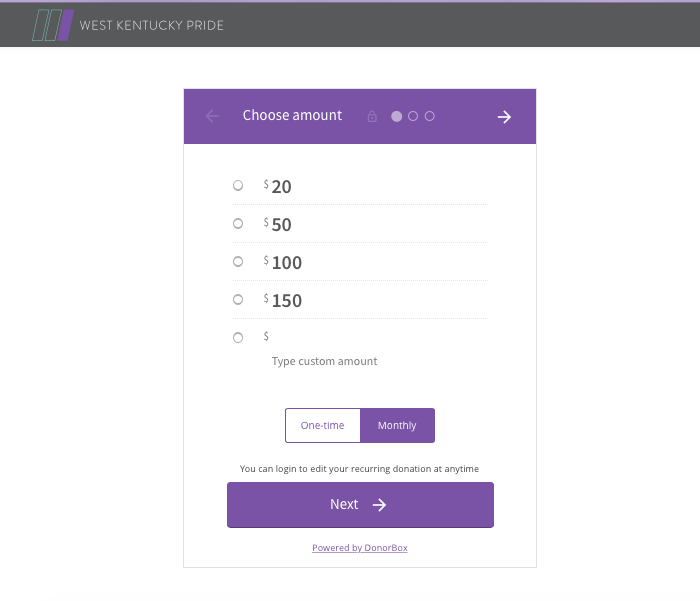 Once you’ve picked your color, click Save and your new donation form is ready to go! 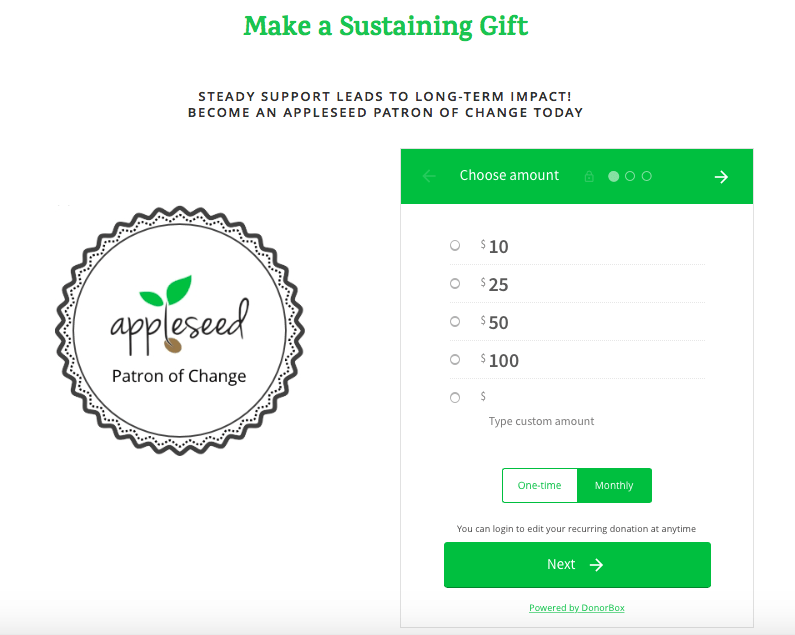 Here are a few active examples of Donorbox users who have already changed the colors of their donation forms. We think they look great! Click on the images to check out their websites. Great new feature. Thank you. I’ll have to do an update to our site.